Welcome to my Walt Disney World 2016 Trip Report! I'm so excited to finally be sharing it with you as let's face it, it's been a long time coming! All of our trip vlogs are already on our YouTube channel, When You Wish Upon A Vlog so if you'd rather watch than read you can binge-watch our whole playlist! 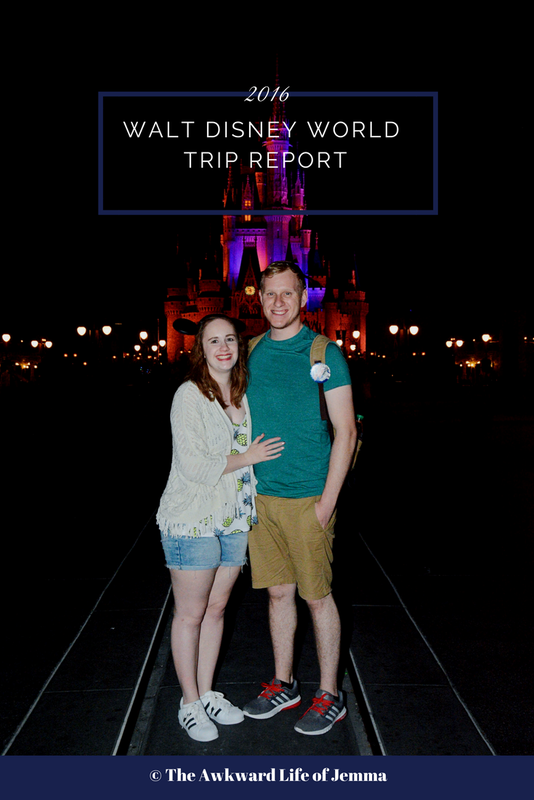 As well as the vlogs we're also working on a review series and I'll be using these trip reports to tie everything together so you can find everything in one place. I'm Jemma, as you've probably worked out already. I was 24 at the time of the trip which was my 6th time visiting Florida and 3rd with my other half, Harry. Harry's 25 and also been 6 times total (a perfect match, right?) but this was his first time staying on site at Disney whereas I stayed at All Star Movies during our 3-week "Once in a Lifetime' holiday when I was 10. Obviously that one-off holiday lead to many more and Florida has remained my favourite place in the world - so much so that we're even planning our wedding there! If you'd like to follow along with our adventures I'll be updating this page each time I upload a new day to the trip-report so you may want to bookmark it for later! Day 0 - Pre-Trip Report, All Star Movies Review, Travel Day & Magic Kingdom! Day 3 - Rope Drop to Kiss Goodnight at Magic Kingdom! Day 4 - Typhoon Lagoon, Shopping, EPCOT & Hoop-Dee-Doo Revue Review! Day 5 - Hollywood Studios, Sci-Fi Dine-In Review & Disney Springs! 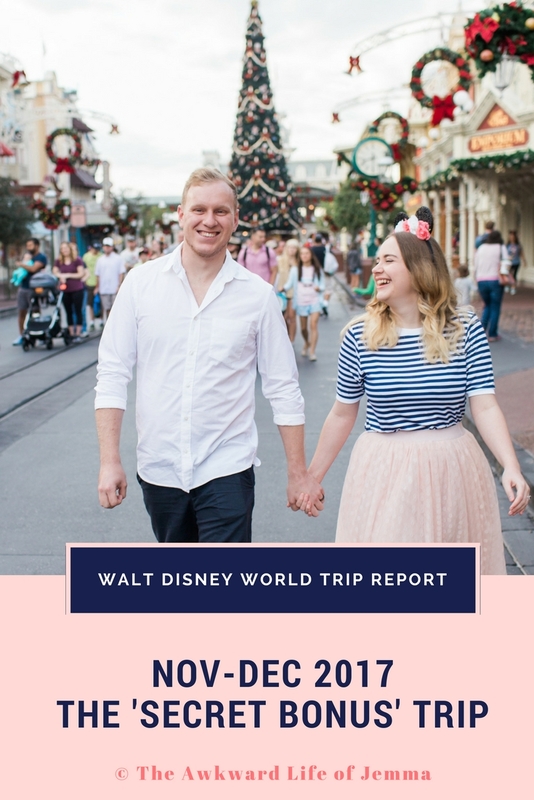 Day 8 - Be Our Guest Breakfast Review, Magic Kingdom, Animal Kingdom, 'Ohana Review & Getting Engaged! Day 11 - 4 Parks 1 Day & Christmas Special Recording! Day 13 - Magic Kingdom, San Angel Inn Review & Our Last Night! If you'd like a notification every time I upload you can subscribe using Bloglovin' below!